Chico, CA—October 1, 2013—Sierra Nevada Brewing Co. is targeting early November to open its Berkeley, Calif., space, coined the Torpedo Room. The intimate venue—whose name is inspired by the brewery’s innovative dry-hopping device, the Hop Torpedo—fits into a mixed-use building on Fourth Street between University Avenue and Addison Street. The Torpedo Room can host approximately 45 craft beer drinkers for educational tastings of unique and limited Sierra Nevada beers, as well as the occasional craft-centric event dedicated to beer science. Ongoing construction on the Torpedo Room capitalizes on Berkeley and greater Northern California talent. 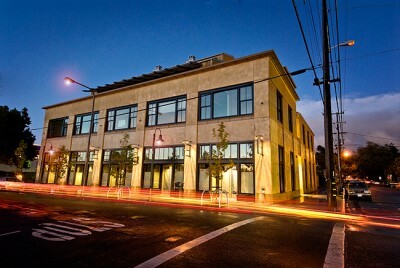 West Berkeley neighbor Trachtenberg Architects, Inc.; Ferrous Studios, Inc., in nearby Richmond, Calif.; and Chico-based craftspeople Westgate Hardwoods are among those helping Sierra Nevada create a rich atmosphere. Keep an eye on the Sierra Nevada blog in coming weeks for more Torpedo Room visual milestones. Founded in 1980, Sierra Nevada Brewing Co. is one of America’s premier craft breweries, highly regarded for using only whole-cone hops and the finest quality ingredients. The pioneering spirit that launched Sierra Nevada spans more than three decades, with innovation emerging from both the brewhouse and sustainability initiatives. Sierra Nevada has set the standard for artisan brewers worldwide as a winner of numerous awards for its extensive line of beers including Pale Ale, Torpedo®, Porter, Stout, Kellerweis® and a host of seasonal, specialty and limited release beers. Learn more atwww.sierranevada.com. Tagged: Sierra Nevada Brewing Co.